In the scenic area of the Messiniaki Mani overlooking a bay with turquoise blue waters and a white pebble beach, this elegant villa measuring 335m² enjoys one of the most beautiful sunsets in Greece. The house was built in 2007 and features a large living room with fireplace and dining room, a fully equipped kitchen, five bedrooms with ensuite bathrooms, a guest WC, and auxiliary space for storage. 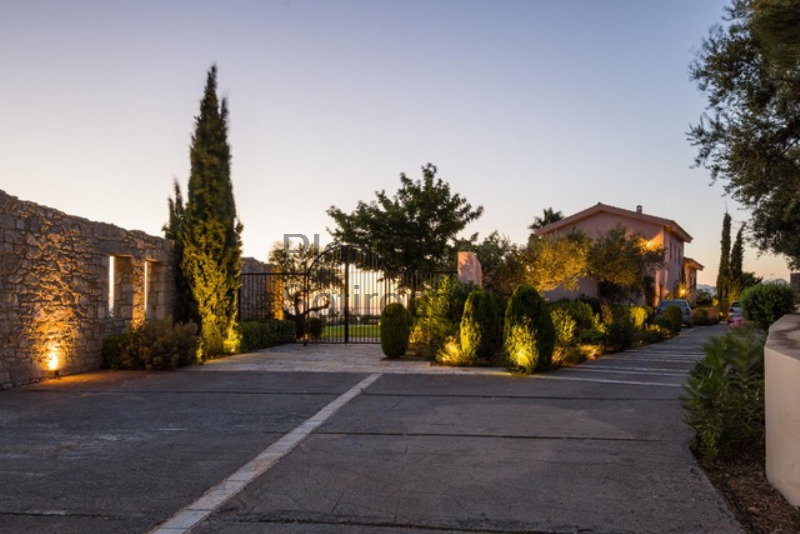 Grounds of 4190 m² are meticulously landscaped with local Mediterranean flora, mature olives and other trees. A beautiful swimming pool with a deck, terraces for sitting and al fresco dining, and a gazebo with daybeds for lounging make life in the summer relaxing and fun. 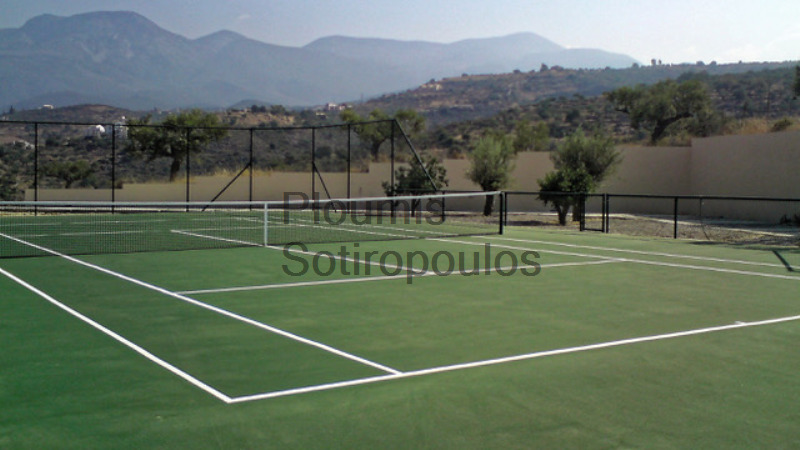 A tennis court is a great exercise area for the family and friends. 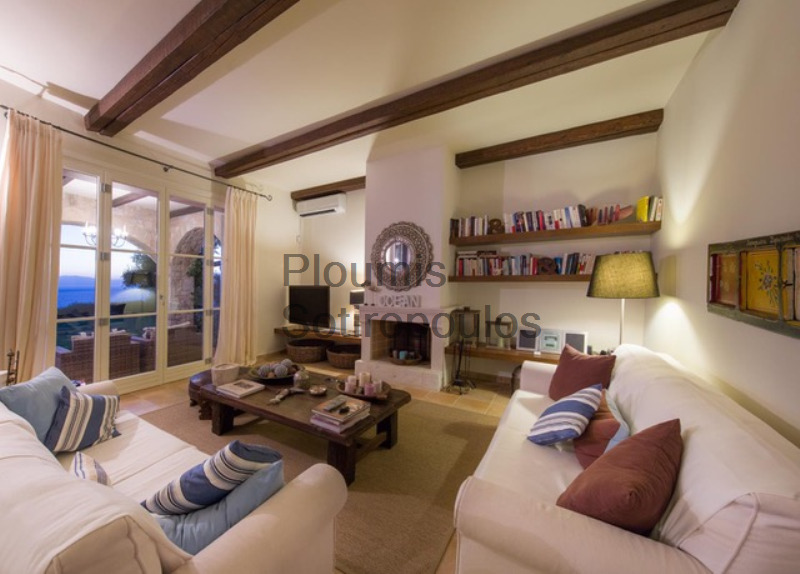 The peaceful atmosphere and natural beauty for which this area is so famous make this exceptional villa the ideal destination at a distance of only 2 ½ hours from Athens International Airport or just 30 kilometers from Kalamata International Airport.